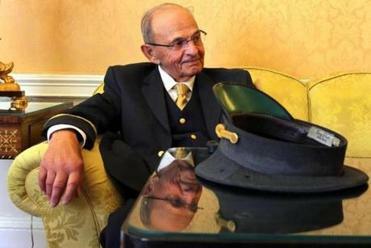 Norman Pashoian worked at the Taj and Ritz hotels since he was 19. His last day was Wednesday. 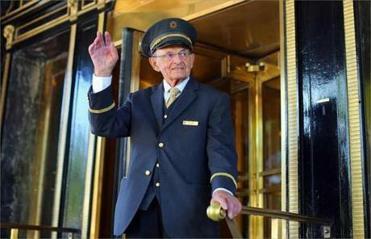 In his 66 years welcoming guests to Boston's Taj Hotel, formerly the Ritz Carlton, doorman Norman Pashoian, 85, has greeted heads of state, famous actors, and prominent politicians. But the most important person he ever greeted was a young, blond woman he met in summer 1950. He was working the hotel’s Newbury Street entrance; she was at Joseph Antell, the ladies shoe shop just across the way. He waved to her, and she smiled back. Later, she came to say hello in person, staying to chat as he hoisted luggage and held the door. It continued that way for months. She would stop by after work and, sometimes, leave him love notes on the dashboard of his new Ford convertible. Four years later, she was Claire Pashoian, his wife, and, soon, mother to his four children. Pashoian, a small man who speaks softly but deliberately, can map most of his life’s significant events onto his years working at the Taj. It was the first job he ever held — his first day of work, at age 19, was Aug. 4, 1947 — and Wednesday, at 7 p.m., when he officially retired, it was the only job he had ever had. 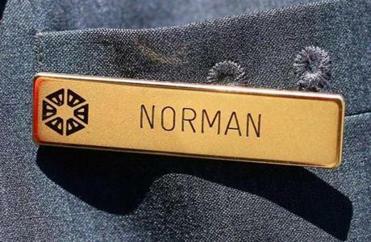 He has worked at the hotel longer than all his colleagues and is regarded by friends and co-workers as the standard-bearer for class and dignity in hotel service. “I’ve always liked the old days. People knew how to dress,” Norman Pashoian said. Pashoian sees himself as a remnant of a bygone era, when men and women checked into hotels wearing suits, ties, and dresses, and employees did not speak to guests unless addressed directly. He remembers, wistfully, a quieter Boston, one with more attention paid to appearances and respectability. In his first few years on the job, Pashoian could hardly wait to arrive each morning at work, where he would often greet and serve famous politicians and personal idols. These were ladies and gentleman, he said, sophisticated and gracious. In 1949, when Pashoian’s hero, Winston Churchill, delivered an address at MIT, he stayed at the Ritz for a few nights. Pashoian never spoke to him personally — Churchill was surrounded by bodyguards — but he remembers one evening watching Churchill stand on the steps of a dining room staircase, a cigar in one hand, the other signing a V for victory. Norman Pashoian took a break Wednesday. He said he went through more than a dozen hats during his career. A few years later, after the assassination of John F. Kennedy in 1963, Jacqueline Kennedy Onassis became a Ritz regular, he said. Unlike other famous visitors, she always made sure to address Pashoian by name. They would exchange pleasantries by the entrance: Hello, how are you, welcome back to the Ritz. She was a “beautiful, well-dressed, very humble, very gracious lady,” he said. Over time, Pashoian’s list of famous guests grew. There were Ted Williams, Joe DiMaggio, Joseph Kennedy Sr., Richard Rodgers, Oscar Hammerstein II, each as exciting as the last. In the 1970s, when Kevin White, then mayor, presided over the racially divisive desegregation of Boston schools, he would often stop for a drink. George Regan, White’s press secretary and now president of Regan Communications Group, said the mayor loved Pashoian. On Wednesday, his last day, Pashoian worked a normal shift, 10:30 a.m. to 7 p.m. Around lunchtime, dressed in a dark gray uniform, he helped an elderly couple remove their luggage from the trunk of their car. “How long will you stay?” he asked. “Two days,” they said. It was the first time in more than half a century that his guests would be staying longer than he. Correction: Because of an editing error, a caption in an earlier version of this story misstated Norman Pashoian’s age when he started the job. He was 19.